BitNautic has closed an agreement with the Top 5 exchange for the listing of the BitNautic Token. We’re proud to announce that the BitNautic Token will be listed on one of the world’s biggest Crypto Exchanges, OEX, currently ranked 4th on CoinMarketCap. OEX just released its 3.0 version, with new awesome looks and features. The deposits will be open from tomorrow, 23rd of January, while the trading will start on Thursday January 24, and will see the BTNT being paired with ETH. Withdrawals will be active from the 27th. OEX as of today is among the Top 5 Crypto Exchanges, with over 300 million USD of volume in the last 24h, and it is based in China. 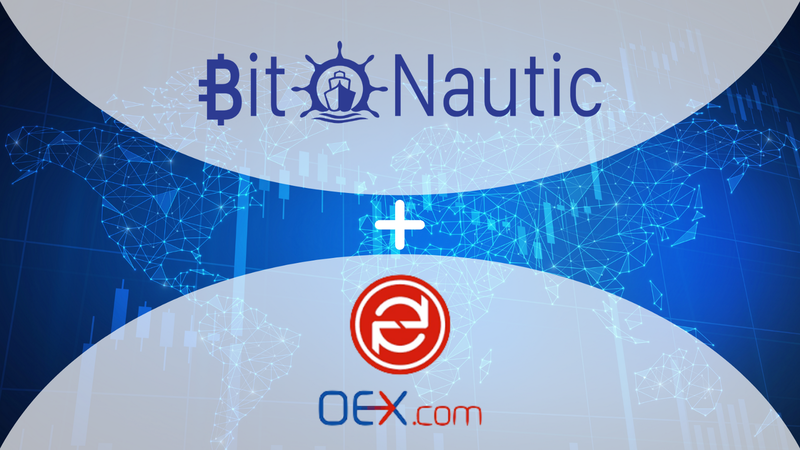 By listing the BTNT on this exchange, BitNautic aims to further strengthen its presence in the asian market and expand its customer base in the countries which are most subject to the problems of Global Trade, which our project is tackling with great success.